Pumping Gas in My Pajamas….. I put on my purple plaid “silly pants,” aka pajama bottoms, and I got in the car. It was as I was backing out of the driveway that I realized I needed gas if I were going to get to my destination. There was no time to go back in and change. So it happened–I pumped gas in front of God and everybody in my pajama bottoms. This wasn’t a dream. It actually happened Friday afternoon. Fortunately, I am over the age of 40, and I just about didn’t care if folks stared at me in my silly pants pumping gas at the gas station next to the only traffic light in my little town. These things happen, right? 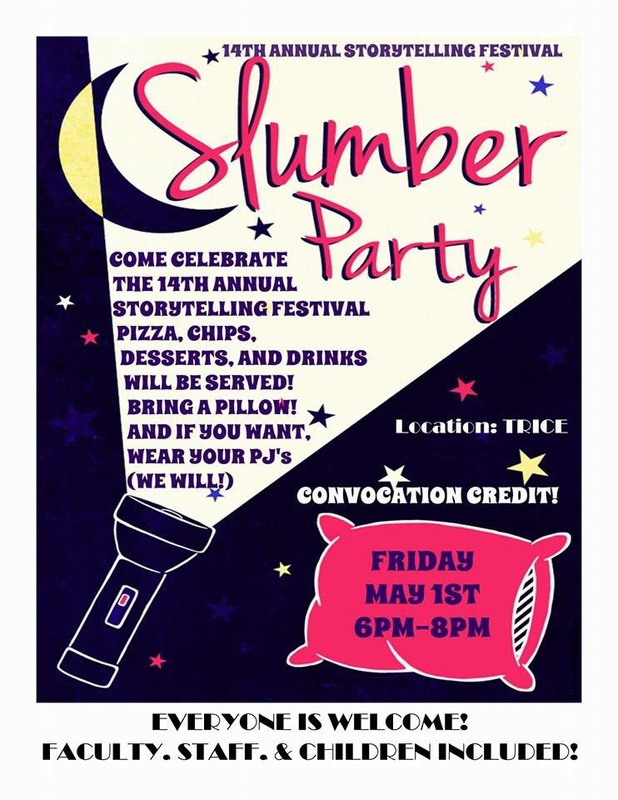 I was invited to be a part of the 14th Annual Storytelling Festival at Wesleyan College, my alma mater, and we were encouraged to wear our pajamas. It was an honor to be asked to come back home and be a part of it, but it was bigger than that. It was a chance to share stories. Stories about the people I love, where I come from, why I am who I am. And all of the laughter and tears that go with that. Despite the traffic-stopping gassing up, the littles and I were only a couple of minutes late. The attendees–students, professors, staff, and their children–were getting snacks and playing with the balloons spread out over the blankets under the half tent made of sheets. It was such a fun setting, and here’s the cool thing. This event? This evening of storytelling? This was the FINAL exam for an education class. I was so impressed when I learned that. The fact that the professor values hands-on application of the learning instead of mere regurgitation of the facts–that is huge. Once again, I was overwhelmed in a moment of gratitude that my daughter chose this college. The evening was delightful. The students shared their stories–from personal and true to tales from homelands to fables. Funny, magical, exciting, and intriguing. A staff member told a story impromptu, because when students all team up and beg you, well, what else can you do? He did extremely well, and his story was in Cooter’s Top 2 pick. Another alumna told her story, one that she said her own students ask to hear regularly. Absolutely hilarious. The one shocker of the evening was when she asked for songs you listen to, no one said, “Let It Go.” Considering the age range of the young girls there, well, I was very surprised. Especially since it is still our Princess’ favorite. The woman who shared her story about her brother and “got to get the enemy”–she had us all interacting and saying the right thing on cue–it was adorable. She was adorable. And her story alone made Cooter, only one of three or four males in the entire room, very glad he went. Just after the intermission, it was my turn. I learned many, many years ago when I was in 4-H not to write out what I’m going to say in public. Outline, yes. Work it out in my head, absolutely. Write it down word for word–epic FAIL, guaranteed. This was what happened when I was headed to Rock Eagle for our District Project Achievement. I had my whole presentation written on note cards, word for word. Only when we prepared to leave from school–I could not find my cards. I spent much time after our arrival trying to rewrite the thing. The words were gone. Once I put them down on paper, I couldn’t recall them at all. From then on, whenever I was planning on public speaking, I just made notes in a semi-outline form, and winged it from there. So the day before the festival, I sat down and jotted down the main parts, a few key words, of the stories I wanted to share. I even copied them on yellow paper, in honor of the senior class, in the hopes that my “class spirit” would distract the audience from the fact that my memory isn’t what it used to be, and I needed a crutch–just in case. Turns out, when I got up there, I didn’t need the crutch. I put the card on the chair with my props (yes I am a sucker for bringing the story to life with visual aids–goes back to my storytime days with the library), and I never looked at it again. The stories from years past at Blackberry Flats came to life in front of my eyes, as I told about the cedar trees and cutting the grass and our old school lawn mower and the snake in the tree and my Mama. Oh, Mama. I wish she had been there. She could bring a storybook to life like nobody else I’ve ever heard. My Daddy though–I can recall long afternoons of sitting and listening to him and my Granny telling stories about our family. Friends. Folks in town. It was a sharing of the history. Of how things used to be. As I grew older, I loved even more to hear Daddy share with us the tales of folks like Grandma Jane from so many years ago. And about the old high school. And the Easter baskets he and my Uncle dug for themselves out in the yard on Easter Eve. So many great stories. So many words released into the air to wrap around another’s heart and be locked up tight for later reflections, time and time again. I come from a long line of storytellers. I didn’t really think about that until later last night, sitting in the quiet of the memory of the evening. I love putting the words together and recording them for my children to read at their leisure later in their lives. But what I realized last night is that stories are alive, and they beg for breath and to be told and heard and felt in a way that only sharing aloud can make happen. In that moment, sharing the stories with people–some whom I knew, some I had never met–we shared something else. Our hearts. Our quirks. Our hopes and fears and what we find funny. We shared a moment of togetherness, of connection. And in that moment, I was home in a way I’ve never felt before. My folks and their stories and the very essence of who they were swirled around me in the room, and for a moment, they were there. The stories gave them life and breath once more, and it was exhilarating. A couple of weeks ago, my friend Lisa at My So-Called Glamorous Life: The Adventures of a Domestic Engineer introduced me in her blog as a “master storyteller.” To be honest, I was gobsmacked. And honored. It brought tears to my eyes. I wasn’t sure that it fit just yet, but I knew when I read those words that I want to be just that–a master storyteller. My Daddy and my Granny were two of the best. They could weave a tale that would capture the imaginations out of one strand of yarn. And last night only served to validate that desire. I want to be a master storyteller. Tonight I sat around the fire pit with Mess Cat and Aub while our Princess, Cooter, and Shaker chased each other around the yard. We caught up and talked about what had been going on in our lives. We shared memories of years past, and we laughed until we just about cried. While sitting there, I realized that deep down inside all of us is a master storyteller. 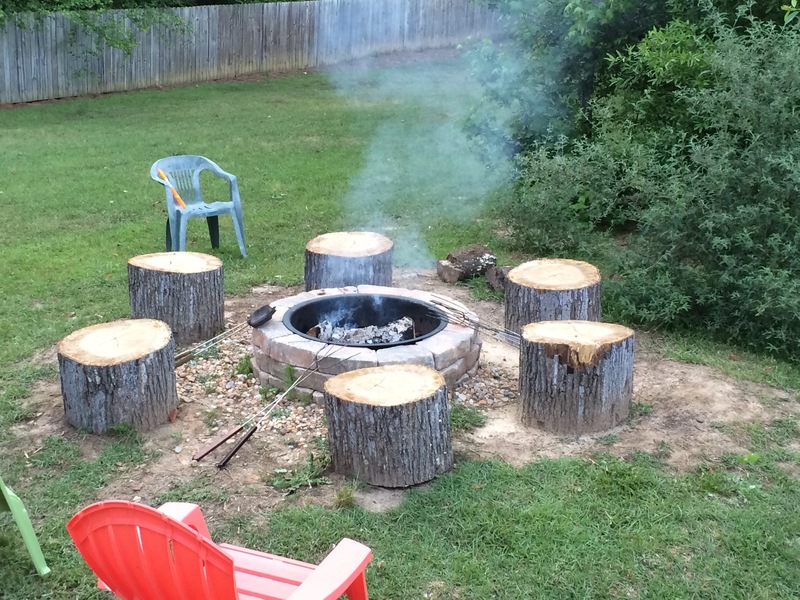 We all come from folks who used to sit around the fire swapping tales. And for the past two evenings, I’ve rediscovered the joy of doing just that–fun, entertaining, meaningful, and connecting folks–all without a device or gadget in sight. Last night when I arrived at Wesleyan, the young woman who had invited me told me they were being graded for their final. I had a horrible flashback to all dreams I’ve had, like one does, of showing up in class in my pajamas not ready for the test that was about to be handed out. That makes me laugh. I was in my pajamas, back in college, and there was a test. But you know what? I think I am ready. For the next step–for becoming a storyteller and giving life to the things I write. I am not sure where the journey is headed, but I know I’m ready. After all, it’s who I come from. A long line of storytellers. I love you story. ?I have gone out in my pajamas and I love storytelling too. I tell and mostly LOVE listening.